Large farms now dominate crop production in the United States. Although most cropland was operated by farms with less than 600 crop acres in the early 1980s, today most cropland is on farms with at least 1,100 acres, and many farms are 5 and 10 times that size. This ongoing shift in farm structure raises a host of questions. How extensive is this structural change? What forces have accompanied and contributed to the shift to larger farms? What implications do these structural shifts have for family farms? The shift of acreage to larger farms is part of a complex set of structural changes in crop agriculture. The number of mid-size crop farms has declined, while farm numbers at the extremes (large and small) are growing. Because of these changes, average farm size has changed little in the last three decades, even while cropland and crop production have shifted to much larger farms. This book documents the complex nature of modern farm structure and introduces statistics aimed at better tracking consolidation of land and production. 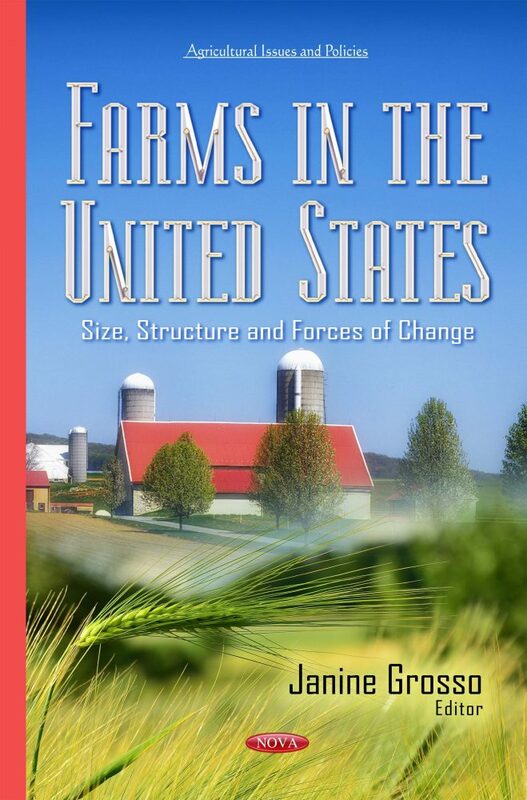 Furthermore, this book looks at small acreage farms having gross sales of $10,000 or more in a given year to better understand the product choices and strategies used by small acreage farms that appear to be operating profitably.